Taco Brothers, developed by ELK Studios, is a 5-reel game with 243 pay lines has a cartoon style. The images include a safe as the scatter symbol, a guitar, alcohol, three brothers Paso, Pico and Pepe, a cactus and a wild symbol. Truth be told, we find the game hilarious, not only because of its title, but also due to the style in which characters are drawn. Keep on reading, if You are interested in more. The theme is set around a remote village called Santa Maria based in Mexico. The game begins with a group of villagers enjoying tacos. The evil capital also referred to as Diaz appears and steals the tacos from the villagers and puts the tacos in a vault located in the bank. Brothers come in to save the village as they break into the bank, smuggle the tacos from the vault using a tunnel and give them back to the villagers. The Taco brothers are helped by Diaz daughter Sinyorita, while breaking into and escaping from the bank. 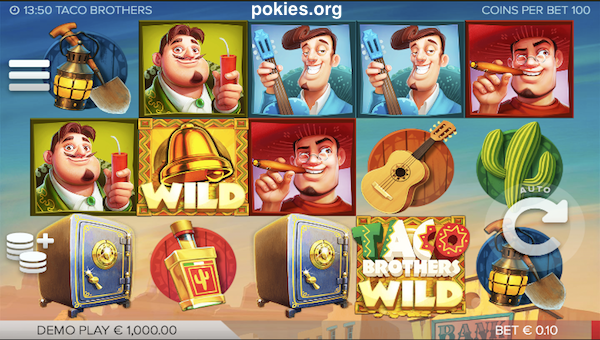 Play Taco Brothers With $600 Free Now >> Play Now! The control panel which controls every aspect of the pokie machine is located under the reels. 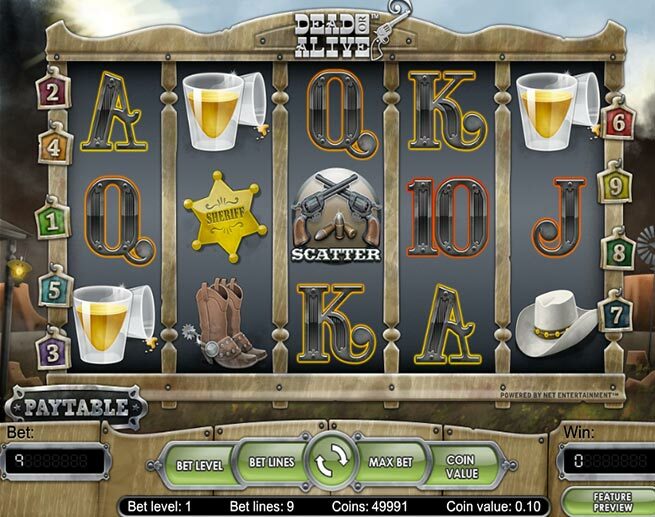 Main aspects of the game controlled by the control panel are placing the bets and spinning the reels. Visuals in the game include all major players like the Taco brothers, villagers, Diaz, shovel among others. The betting option appears at the bottom left side of the screen. This option is designed as animated coins which have a plus sign. To get started, simply click on the bet option to get the desired coin range. The circular arrow is the auto-spin button which ensures better view as the reel is spinning. There are three betting strategies to choose from; Jumper. Leveller and Booster. This game comes with a wild symbol that is represented by a golden bell. The golden bell increases the chances of winning since it can be substituted for any coins on the reels thus helping players get paid.The vault icon represented by scatter symbol is another special feature. Further, the bonus games allows players to aces safe symbols represented by reels 1st, 3rd, and 5th. 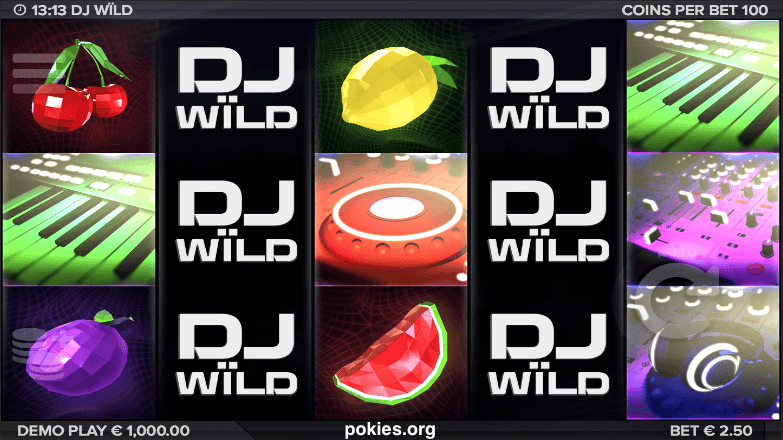 When a player lands on these symbols, a wild escape is triggered that leads to more free spins. If a player lands on two wild symbols, the Re-spin will start. 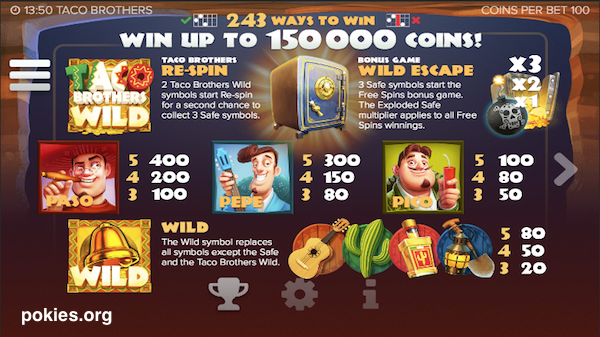 Re spin allows a player to get three safe symbols which can earn more bonuses. The Taco bell wild is another special feature. This Taco bell wild can replace any symbol apart from the wild or safe symbols. This can allow a player to win all the combinations on the reel. 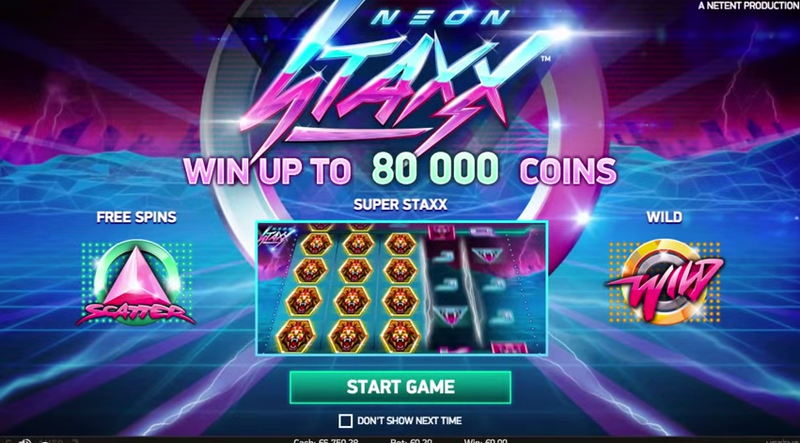 The highest payout in the game is capped at 150,000 coins, which is equal to $50,000 and achieved when free spins feature is triggered and x3 multiplier is applied. Taco Brothers stands out when compared to most other games. It has an actual story-line, which makes it more similar to the console games rather than poker machines. We’ve recommend giving the game a try, even in the free play mode on this page. There are several Casino’s offering this game, but Slots Million is the site that gets our highest endorsement. Apart from offering a sizable welcome bonus of up to $800, they also have more than 1,000 pokies under one roof.